Stratford in London was revamped for the 2012 Olympic Games and is a buzzing shopping and leisure hub. Popular with families, Queen Elizabeth Olympic Park has the London Aquatics Centre with its wave-shaped roof, the London Stadium and several play areas. Towering over the park, ArcelorMittal Orbit is a spiral sculpture with a tunnel slide. Restaurants, bars and upscale fashion shops fill the vast Westfield Stratford City mall (information courtesy of Google). It is also the home of an international data centre serving a major telecommunications hub. A recent upgrade to the hub required a replacement chiller manufactured by Ingersoll Rand (formerly Trane) and the unit specified was the RTAF-245. 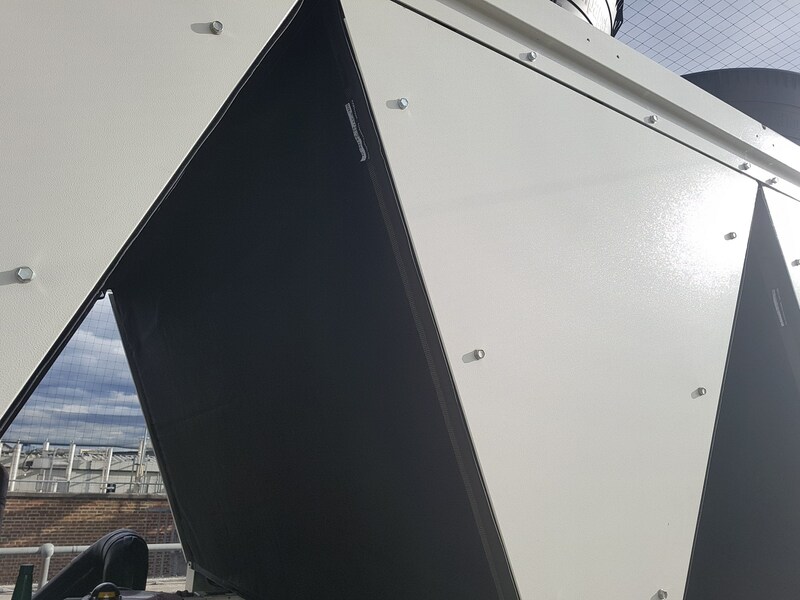 Ingersoll Rand recommended that their coils be protected with the unique PreVent Air Intake Screen also known as the RABScreen. Using our Vhl border comprising a self-adhesive hook and a sewn in loop on the borders the filters were quickly fitted without drilling into the coil framework. Another chiller protected from London dust by the unique RABScreen.